Enjoy your stay at the best Cebu Mactan Hotels in close proximity to the airport and where you can experience the province's cultural, business and political activities. You can readily book great hotels on Mactan Island (or Lapu-Lapu City) where the international Cebu-Mactan Airport is located. Lucky airport... right in the middle of an island surrounded with nice beaches and resorts! Or, you can drive away from that nice island for about 40 minutes to reach Cebu City, the provincial capital. Within and around this famous city in the Visayan region, you can easily find 5-star hotels--within the City or by the mountainsides overlooking the city itself. Based on the reviews of 5-Star hotels by tripadvisor, five of these hotels are in Cebu City while the rests are in Lapu-Lapu City, Mactan Island. This is a newly-built structure since it wasn't there before when I was at the university some years ago. It is amazing to see new structures that height which I never expected to appear in this part of the island. Edge Coaster on the 38th floor - a roller-coaster that goes around the top floor's edge of the building...obviously! Now, even if you have no intention of booking a room at this stage, you might want to drop by and see this hotel and avail some of its facilities and services. If you really want to find out more about this hotel through their official website, you can view more info about this hotel here. 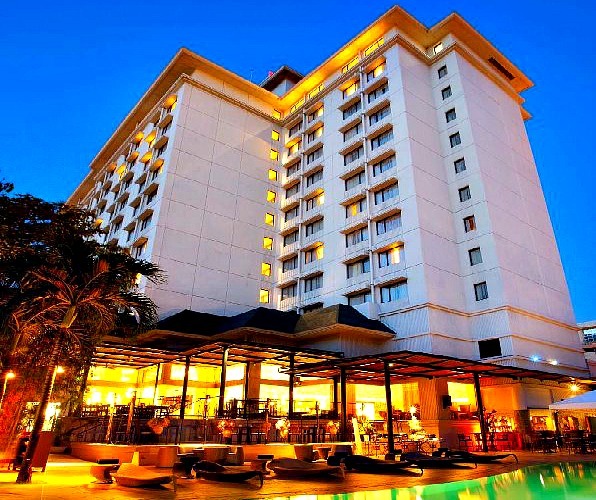 This another Cebu 5-Star Hotel is conveniently located at the center of city's financial district. If you an extremely busy man (or woman) and has no time to waste taking long rides, then this is your perfect hotel. 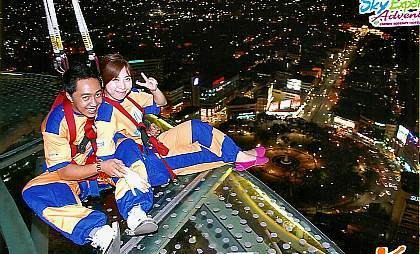 Or, if you want to really experience the heartbeat of Cebu City, then you are at the perfect spot. That's because where Marriott Hotel is located is also where leisure, shopping, sightseeing, nightlife, culture, business, education, health centers or anything abound. 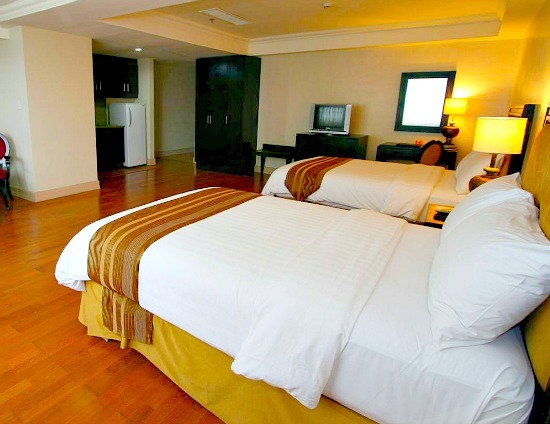 Spacious guest rooms: luxurious bedding, fully air-conditioned rooms, mini bar, etc. Deluxe Rooms: includes buffet breakfast, internet access, etc. I'm sure there are more to it than my short descriptions. View this hotel or check out the rates through their website (above). I'm sure there are more to it than meets the eye. That's right and that is because aside from enjoying your comfortable and private room in the middle of the city you can just step out and reach places to shop, a few minutes walk to historical places such as century-old churches, fort or business establishments. Find out more about this hotel and see what else they can offer to you through their official website by clicking the hotel's name, above. I personally used to visit SM Mall to hang out alone or with friends--to shop, eye-shop, or enjoy a movie and then walk my way back during my college life. That was when Radisson Hotel was nowhere to be found yet. Click here for its website link. 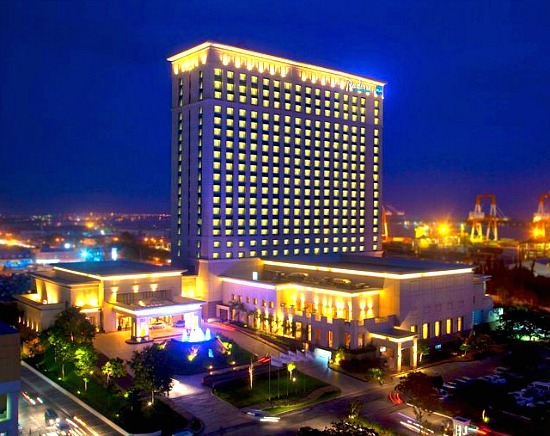 Another 5-star hotel in this city is located on top of a hill with higher mountains at the background. This hotel was called the Cebu Plaza Hotel by then. It is quite visible by then since it is the only tallest hotel that time by the hill, and it was a pleasing sight, I remember. You can tell by its name that it is truly a great hotel. One comment about this hotel says: "Always fantastic service... I will never stay any where else in Cebu!" I couldn't agree more. Of course, you already know (or have some ideas or have heard) what this hotel is like since it is an international hotel. However, in addition to its international fame, we can say that being on top of a hill and with a backdrop of Cebu's mountains you would certainly appreciate the whole place. From your hotel windows, you will see the panorama and skyline of Cebu City and the sea beyond. And moving your eyes sideways, you can observe the refreshing and relaxing green trees around and all over the mountains. 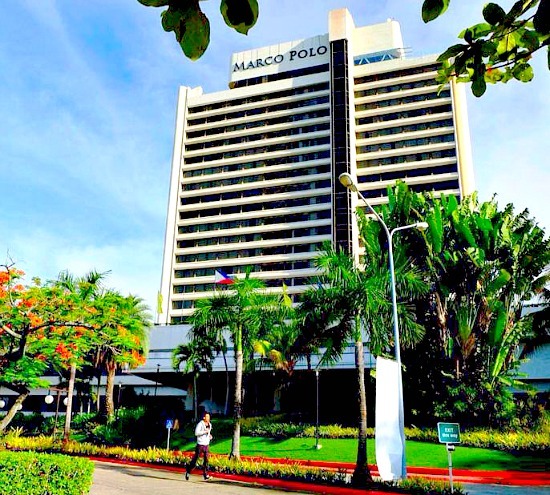 You can find out more about Marco Polo Plaza Hotel by clicking its official website. Here is their website link. The last of the five 5-star Cebu Mactan Hotels on this island is not actually a hotel per se. But it's more of a beach resort with tropical cottages and bungalows. This 5-star accommodation lies close to the white beach in Alegre, where most people who want to enjoy an excellent beach and water activities. This five-star luxurious and exclusive resort is about 90 minutes drive from Mactan Island where the international airport can be found. One of the great advantages of being at this place is its fantastic sea views and everything about beach and water. Second, it Alegre Beach Resort is totally a private and secluded establishment where you can fully enjoy tranquil and rejuvenating atmosphere. It is far from the noise and the hustle-bustle of urban life. To emphasize, Alegre Beach Resort & Spa is nestling in a natural white sand beach, and it is proudly offering its 19 individual cabanas and other amenities and facilities for your every needs. In addition to its white beach, you wouldn't believe that for this one resort alone it has has 3 astonishing private coves. It simply means that you have lots of calm waters and relaxing venues on this beach to fully relax and enjoy your space and time in this part of the world. Check out their official website for further details and more information through this link here. There are over 300 Cebu Mactan hotels available on this provincial island. You don't need to search that far to find. This page aims to guide you to the upscale hotel accommodations located either at the heart of Cebu City or at the beaches. Yes, this is one of the 5-star hotels on Mactan Island. Being on an island and close to the beach is one of its greatest assets. But, being a great beach resort hotel is totally another biggest asset that this establishment is proud about. Thus, combining these both assets make Crimson Beach Resort & Spa a five-star accommodation facility. Spacious accommodations & amenities: 42" LCD TV, separate living room, private bath area, plunge pool, etc. Sports & leisure facilities: badminton, kid's center, etc. Certainly, there are more facilities and services being offered at this resort hotel. You will have endless available choices of services and offers while under their homely care. That's the greatest advantage of staying in a hotel in Mactan - nice white beach and refreshing sea breeze. Seeing and experiencing those facilities and amenities just mentioned, you can imagine, even just a bit, how the place looks like in the corner of your mind. 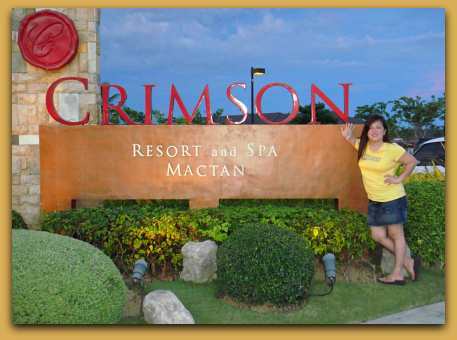 You can check out this resort at their official website here: http://crimsonhotel.com/. Every time, or most of the time, I meet people outside the country who have visited Mactan Island, say they spent their vacation at this resort hotel with their family. 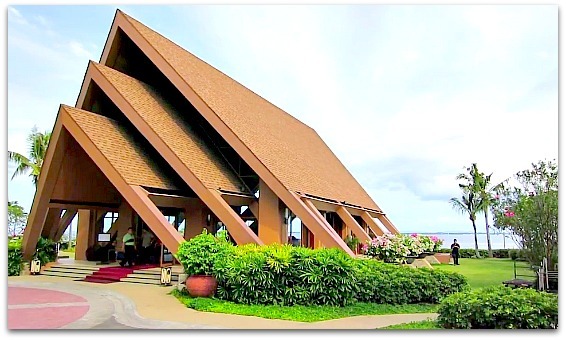 That's right, this beach hotel is famous not only among couples or business people but also among families. That is because Shangrilas Mactan Resort see to it that serve families, especially children, with much attention. You can easily check out this resort by clicking its official website here. The rates are a bit more pricy & ritzy than the other 5-star Cebu Mactan Hotels you just saw. But, it will be worth it more than you can imagine. As we say, "you get what you paid for". Thank you so much for reading this page up to this far. Hopefully, you found what you've been looking for at this stage. If not, then you may continue surfing some more pages in this website which specializes travels and accommodations. If you need to book a place, you may use this site's affiliate programs for booking, including the world famous Agoda booking service. Thanks again for visiting this site and this Cebu Mactan Hotels page.